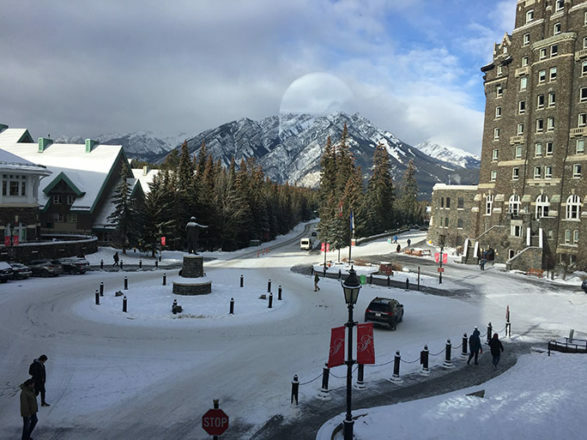 PhD candidate Valdir Barth and new postdoc Julia Puffal gave fantastic talks on their latest research (Valdir) or PhD thesis work in the Morita lab (Julia) at the Keystone meeting “Tuberculosis: Mechanisms, Pathogenesis and Treatment” in Banff, Alberta, Canada. What an incredible meeting and venue! Check them out on Twitter @woychiklab and #KStuberculosis . Julia successfully defended her PhD thesis in the Morita lab at UMass-Amherst on novel features of mycobacterial membranes in December 2018. Welcome!